Time flies and I am into my 3rd year with SSC. For this article, I would like to share my insights of a city transition to SMART Nation. A City transiting to a Smart Nation – apart from the infrastructure investment, technological solutions, implementations and applicable training cost, government of federal, state, provincial or local must also take into account the social fabric cost of a society. It is cool to be SMART. Being SMART Nation ready will make it possible for us to enjoy a high standard of living but at the end of the day, we as consumers are the ones who pay for it. Nevertheless, we should not forget about the different generation and the wealth gap amongst the people. It is certainly of no easy feat getting the elderly’s, the poverty and even people of lesser education on board. These people are either new to the World Wide Web and Smart devices or they could not even afford to have an internet connection and a smart device. Low-skilled workers will be sidelined in a SMART Nation. A good example is the smart waste bins and driverless vehicles that will eliminate the need for many cleaners and transportation workers respectively. Foreign workers will be deemed as redundant and be made to return to their countries. An unintended consequence of a SMART Nation might well be a persistently jobless underclass. Other than that, there will also be a group of people who are just unwilling to embark on the Smart journey due to their comfort zones. Not only that, the advent of modern technologies has already added much coldness to our communications and being SMART Nation ready might just made things a lot colder. People will also tend to be more reliant on convenience and social etiquette such as graciousness might not be as visible as before. Hence, whilst in the planning for a Smart City, let us not just focus on the cyber-related infrastructures required but we should be getting people in-tuned and understanding the benefits of SMART initiatives which play a key role in the SMART success. Take for instances, creating advertisements to show awareness of how technologies have evolved and are undergoing transformation into becoming a Smart City, giving free wireless internet connection and heavily subsidized courses for people trying to learn how to use a Smart Phone / device. Giving Cyber Security Awareness courses can also be part of the learning package. On top of that, there should be a framework with various progressions as to how a Smart Nation is moving into by getting the ground people involved in the process. As everyone is trying to figure out how to best roll out the SMART services, it is worth to note how best to make the services become easy and natural to use.  The experts in the cyber field should then place their energies to tackle the emerging cyber threats to SMART Cities as well as placing more emphasis on cyber governance. We can have good technological defence but nothing is impenetrable. With good governance enforced, greater focus is given to cyber-related breach. Thus, such breach can be better managed.